To illustrious poets and writers who have marked the history of Sicily are entitled to our rooms. All our rooms have different colors and styles of each other, thanks to unique furnishings and accessories. In the rooms, hotel environments, alternate hand-crafted furniture made by local artists, fine antiques and exquisite contemporary design objects. The Unique Suite is for those who want to be surprised and amazed. The room is on two levels, the lower level living area, sleeping area in the upper one. The Family Suite, made up of the living and the night areas, are comfortable, wide and well refined, the best option for families with children. Spacious and bright, with their double separate environment, are ideal for families with children, ensure a comfortable stay and a pleasant privacy. Spacious and refined details, bright and colourful. The Junior Suites have two rooms, a bedroom and a living room. Ideal for those who want comfort and families with children. The room Comfort is the brightest ones and also the most romantic thanks to the well-refined furniture and the harmony between the old and the new styles. The our room Classic is equipped with all the main conveniences, are colourful and comfortable, the ideal for young couples or singles. Separate beds available on demand. Room service, laundry and ironing facilities. We remind our guests that the hotel has one room for disabled people. Save when you book online on our website! 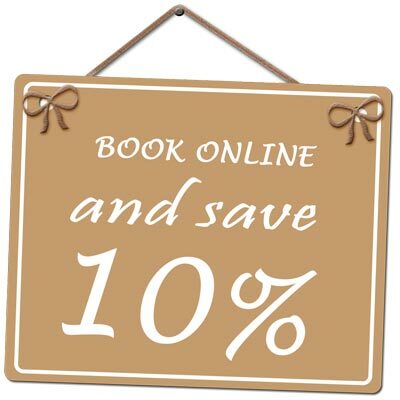 We are giving a 10% exclusive online discount on your accommodation tariff.Book now your holiday!